•	Assael Architecture and Prosperity Capital Partners secure a resolution to grant planning on their Old Brewery Gardens scheme in Manchester. 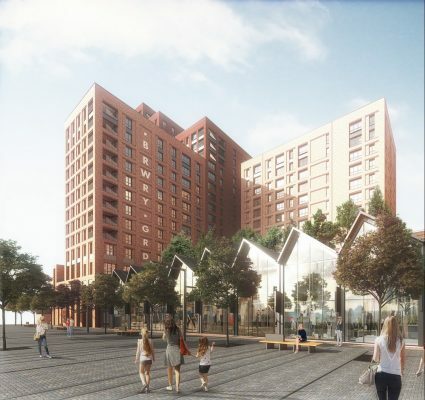 •	The development will transform the first phase of redevelopment of the famous Boddington’s Brewery site near the Manchester Arena. •	The project will bring 556 new homes to the city. 29th June 2018 – Prosperity Capital Partners and Assael Architecture have successfully secured planning for a £175m regeneration development in the centre of Manchester. 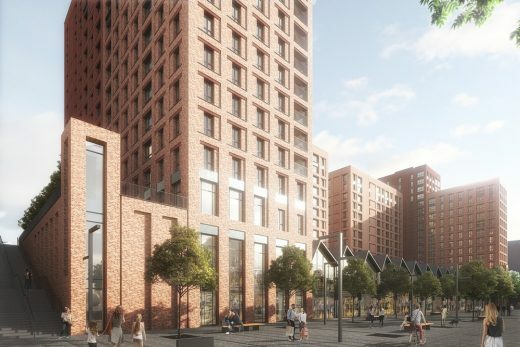 The 556-home mixed-use scheme, named Old Brewery Gardens, is part of a residential-led regeneration on the first phase of redevelopment of the famous Boddingtons Brewery, a regional landmark opposite the Manchester Arena. Out of the 556 homes, 181 will be for sale and the remaining 375 have been designed specifically for rent. Prosperity Capital Partners, a leading investor and developer, has 1700 student accommodation and BTR units either completed or in the pipeline. Old Brewery Gardens, their first BTR scheme in the regions, has been designed by London-based Assael Architecture, who have extensive experience in delivering high-quality BTR projects. The project is set to transform the existing site from a surface car park into a hive of activity with a mix of exciting ground floor retail and community space alongside a range of amenities for residents. Residents will also benefit from great connections to Manchester city centre and surrounding towns, with Victoria Station just a two-minute walk away. 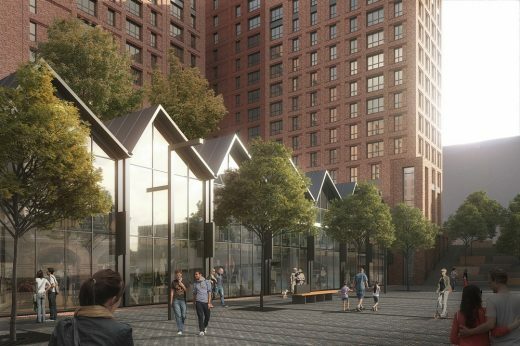 The buildings will be clustered around a striking communal garden at the heart of the scheme, which will be used intermittently for uses such as an open-air cinema and brings vital green space to Manchester’s centre. Other amenities will include a gym, residents’ lounges and rooftop terraces that will be used for outdoor yoga. Centred around a strong cultural strategy, the development will also include 40,000 square foot of retail and commercial space that will drive further investment and job creation into Manchester’s thriving economy, as well as creating a new retail district for the wider community. 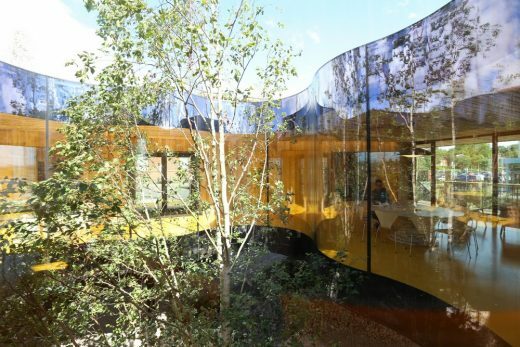 Assael Architecture’s design will create high-quality homes that allow communities to meet and thrive. The design is mindful of Manchester’s existing character, using materials, colours and an architectural language all consistent with the surrounding red brick buildings, helping tie the new in with the old. Planting complete with trees, shrubs and stone surround the proposed access to Great Ducie Street, which will improve the current streetscape and add some much-needed greenery to the area. The development aims to tie the existing community into the site, giving locals the opportunity to set up businesses within the new development. The bustling retail spaces, combined with the public realm, will provide an exciting shopping and leisure experience for both residents and the wider public. Old Brewery Gardens is to start on site in Q2 2019 and will be completed by Q4 2022. 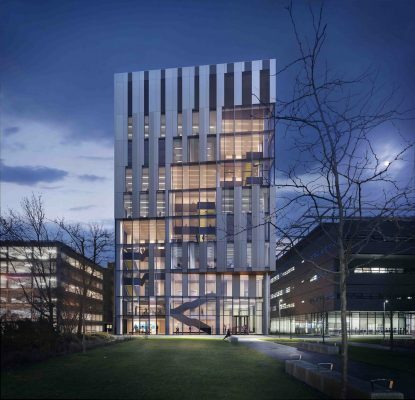 Prosperity Capital Partners is an integrated investment and development business with plans to deliver more than 10,000 new homes over the next decade across the UK and Ireland, with a specific focus on the regions and Dublin. 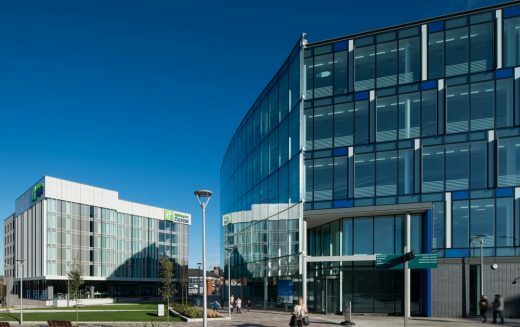 In 2016, Prosperity Capital Partners won the Deal of the Year award at the East Midlands Property Awards for their Cathedral Court scheme in Derby, which was bought by Aviva. “Securing planning for Old Brewery Gardens is a momentous occasion for us as a business. 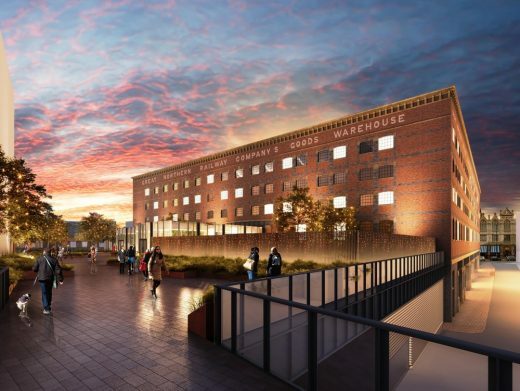 Such a large project, with a diverse and exciting offering for both residents and the local community, will make a significant contribution to a Manchester that continues to thrive culturally and economically. Prosperity Capital Partners is a niche property investment and development company specialising in the alternative investment sector predominantly in Purpose Built Student Accommodation (PBSA) and Build to Rent (BTR) throughout the UK and Ireland. Its vision is to be a leading developer in PBSA and professional BTR sectors delivering 10,000 homes over the next 8-10 years throughout Britain and Ireland. Its latest PBSA scheme in Derby, Cathedral Court, which was sold to Aviva, was awarded Deal of the Year for 2016 at the East Midlands Property Awards.